The event held at the Carnivore Club in Nairobi was dubbed “Beauty Beyond Skin.” It was organized by the Albinism Society in Kenya with the aim of redefining how people view those living with albinism. DW spoke to Jairus Ongetta, 20, a music student at Kenyatta University, after he was crowned Kenya’s first Mr. Albinism. 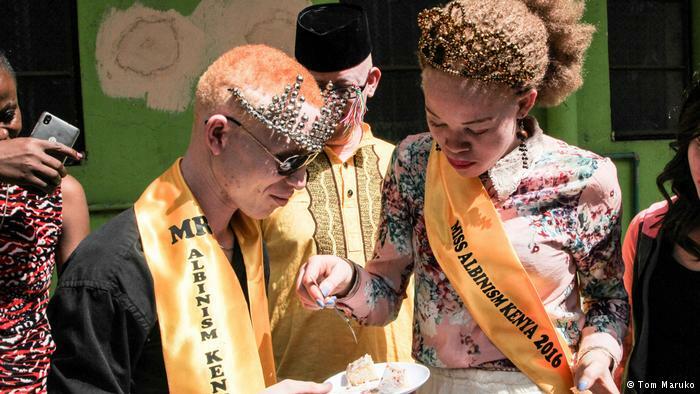 DW: How did it feel being crowned Kenya’s first ever Mr. Albinism? Jairus Ongetta: Being crowned the first Kenyan Mr. Albinism was an awesome feeling. It was the greatest feeling one could have. Finally we achieved something. For a long time, people never believed that people with albinism could be on certain platforms like modeling or taking part in a pageant. It was a privilege and I am ready to start the journey. So what are your future plans now? After winning, I am to be the ambassador of the Albinism Society of Kenya. We are to do projects with Miss Albinism [Loise Lihanda] which mostly focus on children with albinism. I believe that most of the awareness and sensitization on the subject of albinism has been done for a while now. What we want is to deal with the children and to bring up a generation that is more confident, by finding their strength and what they are good at, and empowering them. When they are young, most of them are left alone by their parents. Most people with albinism have been raised by single parents. That is what we want to change. When we empower those children so they have an asset or something to hold on to. Even if something happens, they will grow up having that [self] esteem and believe in themselves. Giving them that will bring up a better generation. 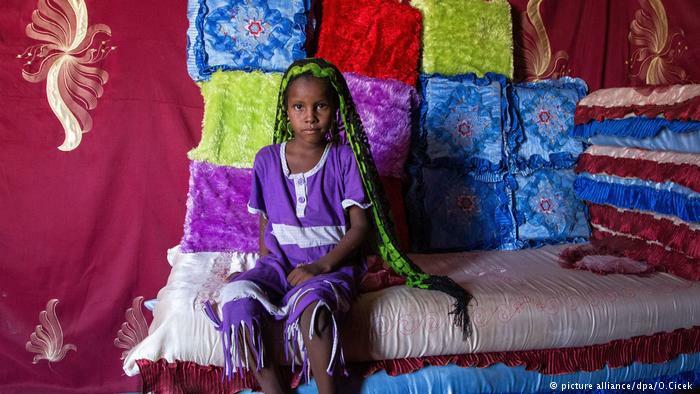 Presumably the beauty pageant got a lot of support from the albinism community in Kenya, but what about the rest of Kenyans? How much support did you get? The rest of the Kenyans also supported us so much. There was this public choice category, whereby the photos of the contestants were put online and they were to vote for us and they were very supportive. They bought tickets and they came to the event. Even the training, which was held at Beauty Point College in Nairobi, they provided the facilities for us for free. The Albinism Society in Kenya has existed for the past 10 years, would you say it has done it has done enough for people living with albinism in Kenya? Not really enough, but I think it has made a very huge step. During the World Albinism Day, when we go to the Kenyatta International Conference Center or any other place where the event takes place, I see very many organizations for people with albinism. But when you look at what some of them are doing, you can never notice what they are doing. At least the Albinism Society of Kenya and a few others, maybe two or three, are doing something that we can see. 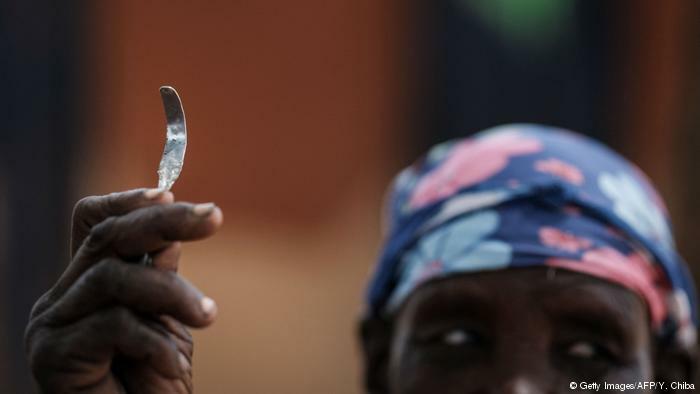 It has championed for the people with albinism to easily get sunscreen at any public hospital, get eye care and maybe get scanned for skin cancer. The latest achievement is this Mr. and Miss Albinism pageant, something that has never happened. I don’t think it has taken place anywhere else in the world. So I think it’s a very great step.